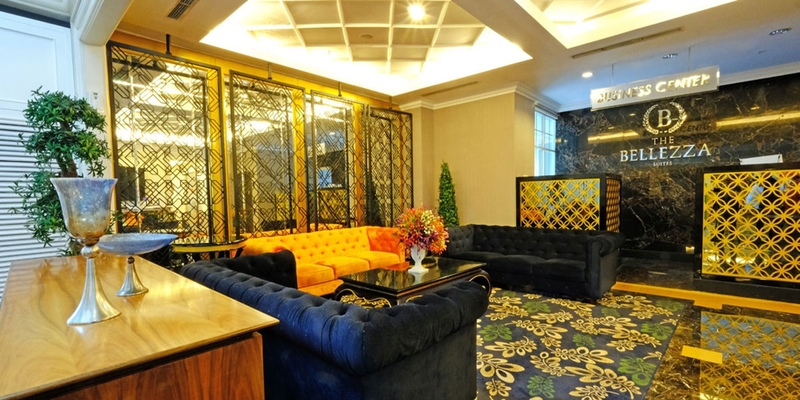 Located ideally in South Jakarta, The Bellezza Suites have created 71 luxurious Suites. Each one capturing the elegant spirit of property, whilst meeting your expectations for complete comfort and convenience. 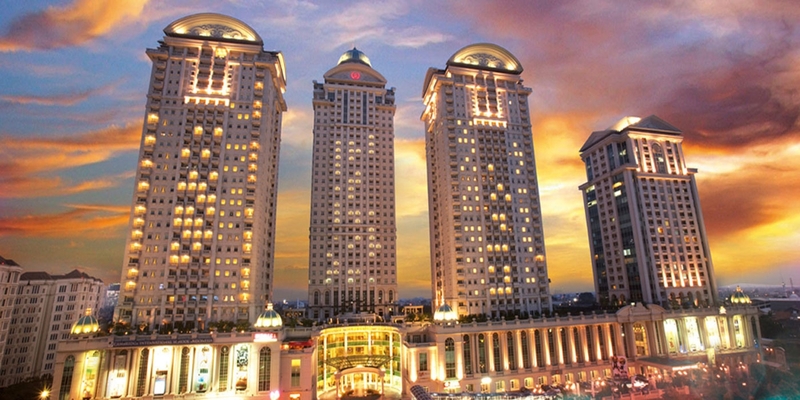 Surrounded by some interesting places and office building such as; Senayan City, Plaza Senayan, Gandaria City and Pondok Indah Shopping Mall. We also cater meeting and social event in the setting of full hospitality. The Thousand Islands is one of the popular natural tourist areas in the Capital of the Republic of Indonesia, Jakarta. The location of the Thousand Islands which is not far from Jakarta makes this destination often become the target of a weekend escape for the citizens of Jakarta and other areas. Thousand Islands is an island cluster area located in the Bay of Jakarta. The Wilah itself is an administrative district of the Special Capital Region of Jakarta. The Thousand island is different from the northern coastline in the area around Jakarta which is famous for its slums, dirty and poorly maintained. Thousand Island is just the opposite, very regular, clean, clear sea water and the scenery is very beautiful. In fact, the Thousand Islands get the nickname Maldiven van Java which refers to the beauty of tropical islands lined up like in the Maldives. The Thousand Islands has hundreds of islands that are largely uninhabited. The Thousand Islands has hundreds of islands scattered and uniquely most of the islands are uninhabited. Although many are uninhabited, but it does not prevent tourists to visit and enjoy the beauty of the dish of the existing islands. Here are some tours of the thousand islands that must be visited by a traveler when visiting the Thousand Islands, Tidung Island, Untung Java Island, Semak Daun Island, Bira Island, Pramuka Island, Ayer Island etc. Ancol Dreamland Park in North Jakarta is often used as a tourist destination for residents of Jakarta and surrounding areas who want to enjoy the feel of the beach. This place is often a center of celebration of the New Year at the end of each year. Even on an ordinary day, Ancol Dreamland Park is a prima donna because it offers many interesting rides. Ancol Dreamland Park is located in North Jakarta and to be able to reach this place is also very easy kok because you can ride a private vehicle or public transportation. If you start the journey from Gambir Station, the route is: Gambir Station - get off and take the busway to Pulogadung - get off at Station Monday - take the busway in corridor 5 - Ancol. While the entrance ticket Taman Impian Jaya Ancol is Rp20.000 *. But you still have to pay an additional fee if you want to try a ride or enter a certain area. The area of Ancol Dreamland Park is very wide up to 552 hectares and is so synonymous with the beach atmosphere. In this place you can easily find beautiful beaches that have become subscribers of Jakarta residents to vacation with family. So, just prepare a change of clothes if you want wet wet there. If still not enough, you can also visit the area is quite popular in Ancol Dreamland Park. You must have known. True, Dufan aka Fantasy World. The game rides available in Dufan are also suitable for children and they will definitely love to be invited there. Adrenaline-challenging outdoor entertainment such as Hysteria and Tornado must be fun. You just pay Rp90.000 * on weekdays and Rp125.000 * on weekends and holidays if you want to go to Dufan. Sea World in the Ancol Dreamland Park also carries the theme of education, as well as educational enough to educate the visitors. This area is also quite extensive with a variety of residents. In this place you can meet various types of mammals, cute reptiles, invertebrates, freshwater fish, and sea fish. You only need to spend Rp100.000 * to get into Sea World. A vehicle of pride of Indonesian society that is not inferior to neighboring countries. Theme Park is also owned by Ancol Dreamland Park. It is Atlantis Water Adventure that will lead you to an exciting adventure in the water. There are several water themes that you can choose, such as Crazy Highest Longest Slide which is the highest and longest sled tube in Indonesia because of its length reaching 149 meters and 122 meters. Interested? Prepare first Rp150.000 * to enjoy the thrill of playing at Atlantis Water Adventure. If all the above rides are still not suitable in the heart, travelers can try Epic Cable Park in Ancol Dreamland Park. So if you happen to be skilled at skateboarding and surfing, there is no harm in this one rides because here you can play wakeboarding which is a combination of skateboarding and surfing. Guaranteed you will be addicted to try it again and again. Create your hobby with ecopark, Ancol Dreamland Park also has Ecopark with an area of nearly 33.6 hectares and filled with thousands of rare trees that really fit to learn the science of botany. The existing zone is still divided into Eco Energy, Eco Nature, Eco Art and Eco Care. 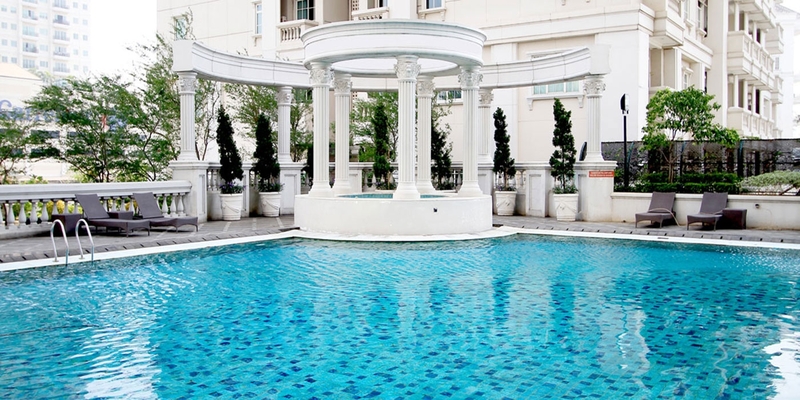 Atmosfirnya in this place is also so natural, so do not be surprised if ecoparc Ancol Dreamland Park is often used as a wedding reception and gathering. To be able to explore all zones, you have to pay Rp100.000 * on weekdays and during weekeend or vacation you have to pay more expensive that is Rp120.000 *. Ancol Dreamland Park also still have a lot of spots that must be explored again so it is not enough to adventure for 1 day, for example Green Mission Painball that makes you as if you are in the war zone, Gondola that allows you to see Ancol from a height (pay Rp30.000 * for regular days Rp40.000 * for weekends and holidays), Pasar Seni Ancol Dream Market which sells many art objects. Acara olahraga terbesar setelah Olimpiade, Asian Games adalah acara bergengsi yg diorganizir Olympic Council of Asia, dengan edisi ke-18 yg akan digelar di Jakarta-Palembang pada 2018 mendatang. Dua bidang pelaksanaan Asian Games 2018 Jakarta-Palembang. bidang prestasi dan infrastruktur akan menjadi fokus kunjungan kerja Ketua Dewan Pengarah Asian Games 2018, Jusuf Kalla, Selasa (3/10/2017). Dalam kunjungan yang dijadwalkan berlangsung selama empat jam itu, Wakil Presiden RI meninjau pelatnas cabang bulutangkis di Cipayung, pencak silat di Padepokan Pencak Silat, TMII, dan panahan di Senayan. Usai melihat dari dekat latihan para atlet nasional tersebut, JK juga akan memantau perkembangan pembangunan arena pertandingan di kawasan Gelora Bung Karno (GBK), Senayan. Di kompleks olahraga yang dibangun untuk menggelar Asian Games IV tahun 1962 itu, JK akan mendatangi Stadion Utama GBK, Istora, lapangan panahan, hoki, bisbol, dan tiga lapangan latihan ABC. Berkaitan dengan situasi terkini, kunjungan kerja ini penting untuk memastikan program yang berkaitan dengan bidang prestasi dan infrastruktur berjalan lancar. Seperti diketahui, di bidang prestasi, Indonesia menargetkan raihan 20-22 medali emas demi mengamankan peringkat 10 besar Asia di Asian Games 2018. Sementara di bidang infrastruktur, sesuai agenda dari Kementerian Pekerjaan Umum dan Perumahan Rakyat (PUPR), mayoritas dari 14 venue yang ada di kawasan GBK siap diserahterimakan dalam waktu tiga bulan lagi. "Sementara berkaitan dengan penyelenggaraan yang menjadi tanggung jawab kami di INASGOC, pekan lalu, saya sudah melaporkan secara langsung kepada Ketua Dewan Pengarah. Baik itu mengenai ketetapan 40 cabang yang akan dipertandingkan di Asian Games tahun depan, progress di bidang sponsorship, hingga negosiasi kesepakatan baru dalam host city contract (HCC) antara kita dengan OCA" jelas Ketua Panitia Pelaksana Asian Games 2018 (INASGOC), Erick Thohir, Rabu. Menurut Erick, dalam pertemuan di Kantor Wapres, Medan Merdeka Utara, Kamis (28/9) itu, JK memahami dasar keputusan yang diambil OCA berkaitan dengan ketetapan 40 cabang di Asian Games 2018. Sedangkan mengenai kesepakatan baru dengan OCA dalam HCC, terutama percepatan dalam penggunaan dana dari sponsor , JK memberikan dukungannya. Pada HCC yang lama, seluruh dana sponsor yang masuk ke OCA baru akan dicairkan setelah pembukaan Asian Games pada 18 Agustus 2018. Kini dengan kontrak baru HCC, dana dari sponsor Asian Games 2018 bisa langsung digunakan INASGOC, meskipun harus masuk ke Badan Layanan Umum (BLU). Sebagai satuan kerja, INASGOC tidak boleh menerima penerimaan, sementara kita perlu. Oleh karena itu, digunakan BLU" lanjut Erick.